Learn how to embellish with beads! You can add interest and excitement to quilts, bags, clothing, buttons, and more. Make a 9-patch block and fill each piece with a different beaded stitch. 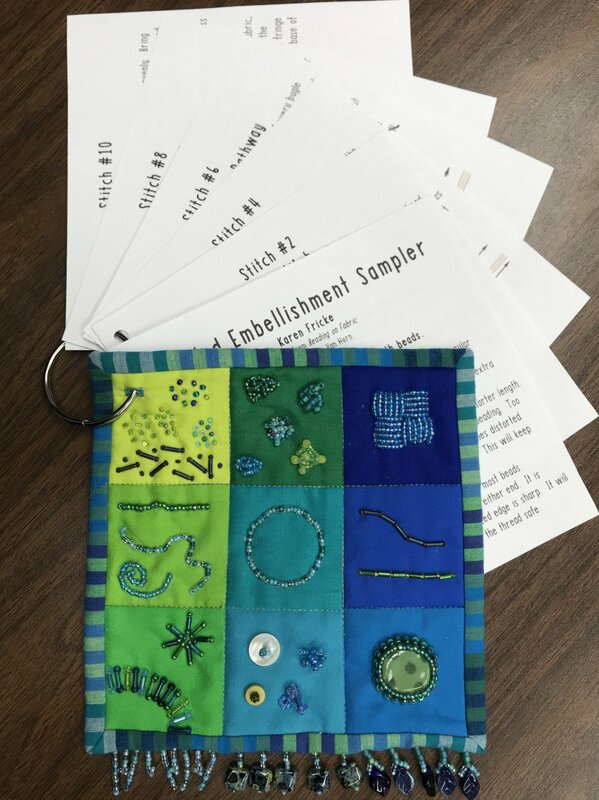 You’ll go home with a sampler and printed directions for making each stitch. Your kit includes beads, beading thread, beading needle, pages of instructions, and a metal ring to bind your booklet.